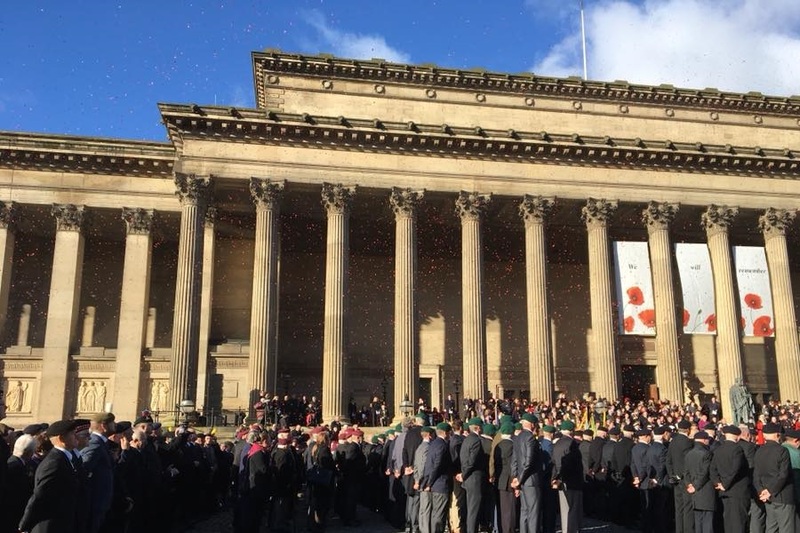 Remembrance Sunday brought people together throughout the region and far beyond to commemorate the fallen soldiers who risked their lives for this country, and ‘for our tomorrow, gave their today’. 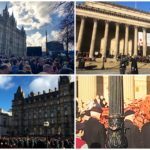 On a bright but chilly day, thousands of people gathered outside the Cenotaph on St George’s Plateau for the annual service in the city, watching in silent awe as red poppies fell from the top of the grand hall and wreaths were laid to rest. 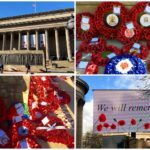 This year marked the 100th year anniversary of the Battle of Passchendaele, during World War I at a time when the Allies had to rely on horses to support their heroic defences. 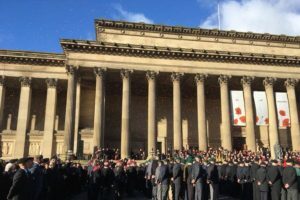 The moment was marked by the introduction of Joey, the life-sized puppet from the National Theatre production of War Horse, who made an appearance before the sombre gathering. 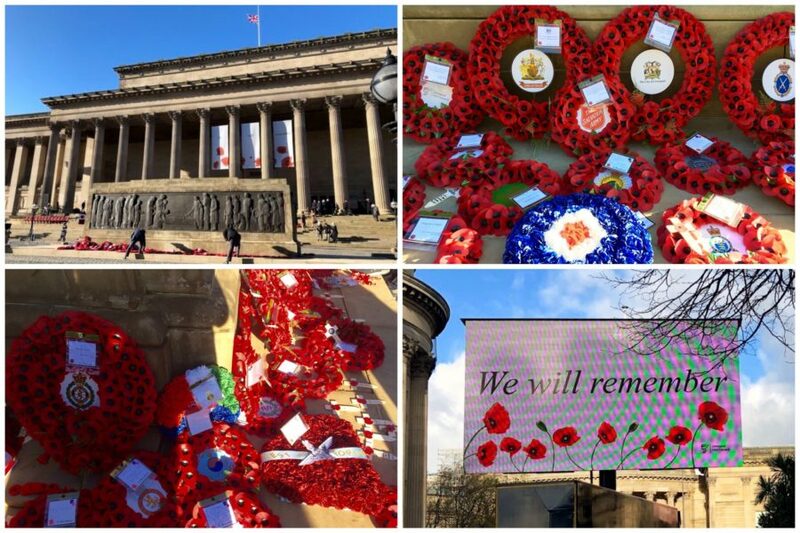 Past and present soldiers visit Liverpool and other services held across Merseyside to mark this memorable day. 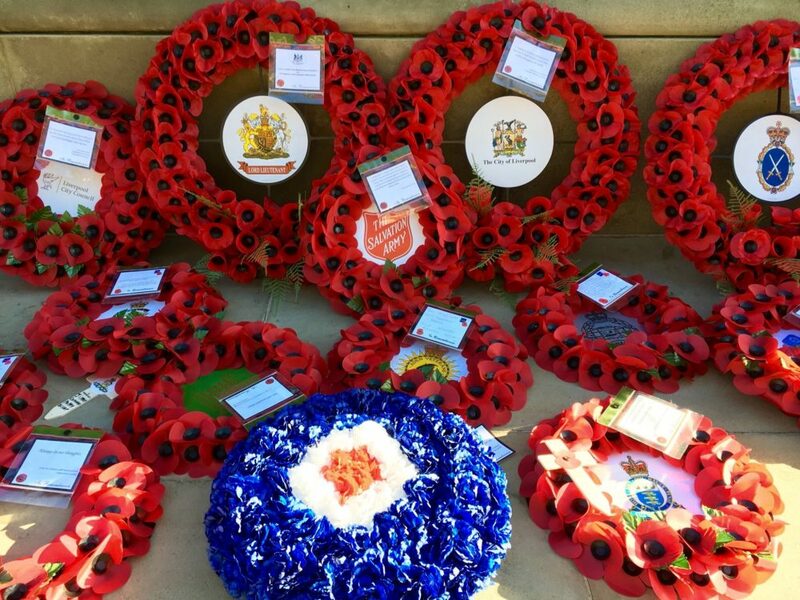 A member from the first Battalion Royal Regiment Fusiliers, who fought in the Iraq war 2003, Fusilier John Atkinson, told JMU Journalism: “Today is about remembering all the lads that we have lost and to remember all the dead from years gone by. The service came to a bittersweet close after members of the armed forces paraded through the streets, saluting in the direction of the Cenotaph, while the public began placing their own wreaths in honour of loved ones lost. 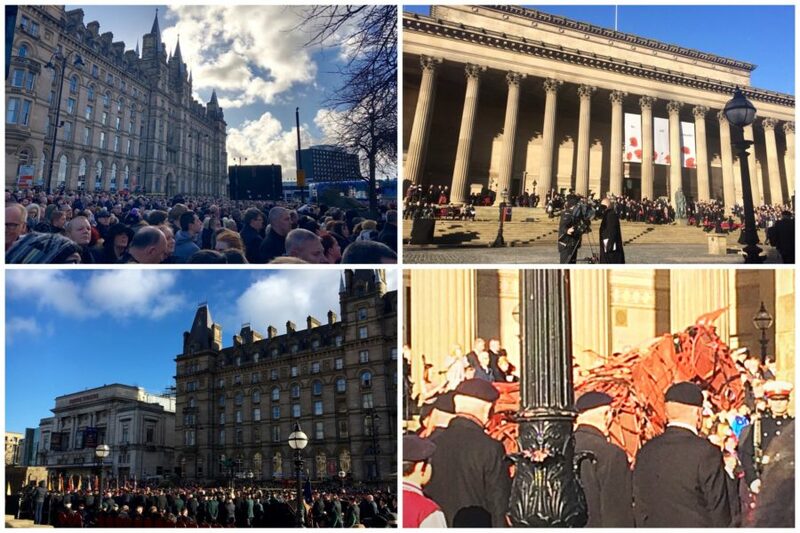 Galleries by Ross McAuley, Chloe George & Jess Grieveson-Smith. Click on a thumbnail for images.